Posted on May 23, 2015 January 26, 2018 by Dan S.
I’ve never hated a movie as quickly as I hated Disney’s Tomorrowland. 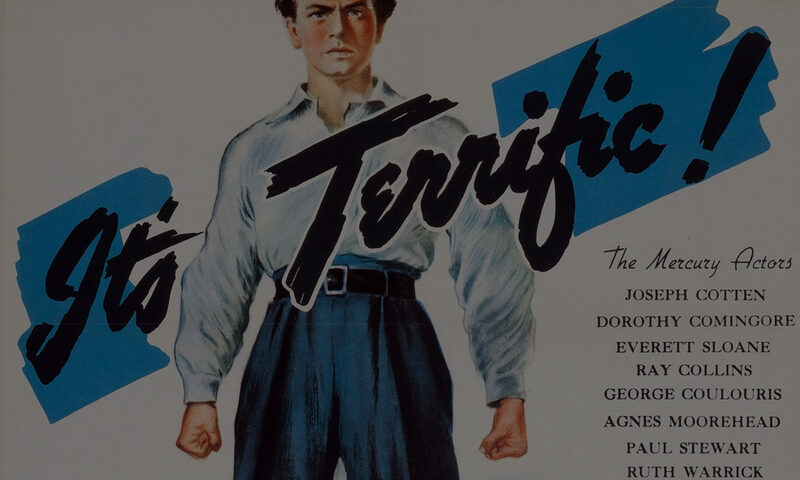 Maybe five minutes into the film, after a clumsy but otherwise benign opening, we’re thrust into the future past of star George Clooney’s younger self. Besides the fact that the child actor in question is immediately grating, the boy’s introduction to the world of dreamers known as Tomorrowland is filled with enough saccharine 60s nostalgia to make old Walt himself roll his eyes. From this whitewashed Space Age, we jump ahead to modern times where only The Secret can save our world. And that’s not as bad as it gets. 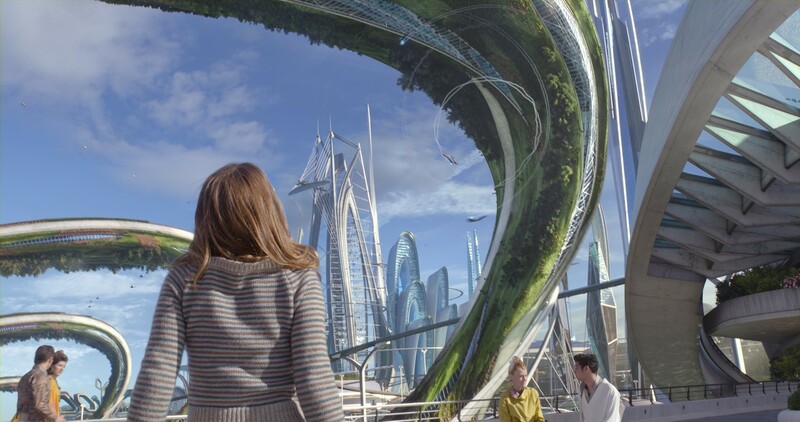 Tomorrowland is a film encumbered by good intentions and bad ideas. This story of a plucky teen girl played by Britt Robertson, who appears to be the last optimistic person on the planet, being recruited save the future never finds the right balance. Not between naiveté and hope. Not between dystopia and utopia. Not even between cynicism and optimism. When Robertson’s Casey meets the grizzled, defeated Frank (George Clooney), a bit of static on a screen changes the former boy wonder’s outlook quickly enough to get him, the teen, and a robot girl back to Tomorrowland to save everything. Spoiler alert: They do. But not without a bit of suffering on the audience’s end. Maybe I’m just a cynic. Maybe I’m the type of person who wouldn’t understand the intent of the movie in the first place. But even the part of me that cried at Babe couldn’t get into this picture. It’s far too dumb from the get go to ever recover. Then it’s followed by misstep after misstep until a gloriously unfulfilling happy ending. I won’t waste time going into deep into the specifics, not the bad casting (Clooney, the hobby shop owners/robots), the equally bad acting (Robertson), the boring look (did they have a cinematographer? ), the creepy romantic glances between a child robot and an adult Clooney, or the silly action (Rock ‘em Sock ‘em robots). No, I’ll get right to the point here: This is a movie about imagination saving the world that doesn’t have a flicker of originality in it. It’s not even original enough to simply be a Disney product in the end. At best, it’s lazy filmmaking. At worst, the people who made this are the same type of guys who, in the movie, might end the world. Tomorrowland never really knows whether it wants to be pro-dreamer or anti-elitist. It never really articulates that difference, either. Even the simple idea of the good intentioned white guys who tried to manufacture a better future, only to need their future saved by a women, doesn’t play well here. I’m never certain what the point of the whole thing is, even though it’s so very, very clear what it was supposed to be: A commercial for Disney World. And that fails, too. What it really comes down to is Disney overplayed its hand. They wanted a major summer blockbuster that underscored everything that Disney is meant to represent. Then they hired top talent in Brad Bird to direct it. And it was a disaster. A simpler, marginally fantastical story with a competent if less flashy director like John Lee Hancock at the helm would have done the trick. Instead we got Tomorrowland, a film that could crush even the dreamiest cinematic dreamers.